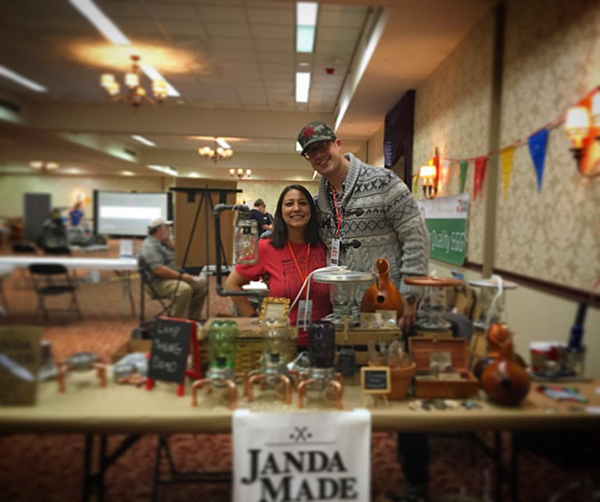 For the first time, Aaron was able to join me for a Janda Made craft show! 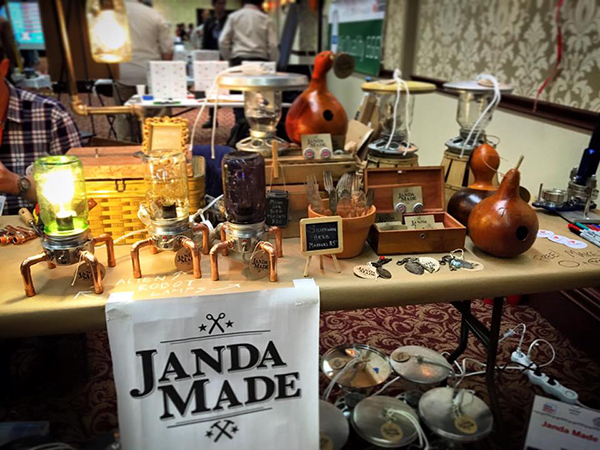 We had a table at Rochester Mini Maker Faire where we sold bird feeders, bird houses and mason jar lamps. Aaron worked on lamps right at the table so people could watch. 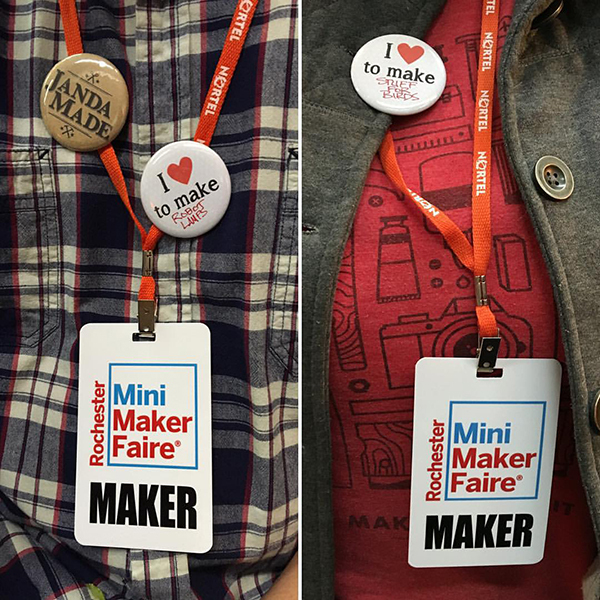 I offered the free button making again. It's fun to see what people put on their buttons. We had a lot of fun seeing friends and meeting new people. And it was great doing a show together! Can I buy one even though I live in Canada?...Pleeeease? ?